Learning guitar is not difficult. It just takes time, patience and a proven strategy. Watching children especially young children you can see how they get fixed on something giving it 100% of their concentration. You will often see frustrated parents shouting "For the last time stop what you are doing and come to dinner". Children seem to find it easier to shut out the rest of the world when they are engaged. As adults we can have trouble switching off. When we leave work it tends to follow us home and when we go to work unrelated distractions (phone calls, emails etc.) tend to crop up. This can be a problem if you are attempting to learn a skill like guitar and may even explain why children seem to learn new skills faster. So your first challenge is to create a time and space where you will not be distracted so you can focus even if its only 10 minutes a day in the beginning. Turn off phones, computers and remove any possible distractions. Your biggest enemy will be yourself and often your unrealistic expectations. When you watch great guitar players you are seeing the results of thousands of hours of practice. I see many students take up guitar and after only a few hours of practice wonder why they can't play their favourite songs. This would be like going to the bank each day and depositing $10 and after a month expecting to see a million dollars. Set the bar lower and you will be a lot happier. Take time out each day to remind yourself that until you have done at least 500 hours of practice you are probably going to be below the standard of what most people would consider a reasonable guitarist. Develop patience by keeping a Practice log. Measure how many minutes you do each day and celebrate when you reach 500 hours then 1000 hours and so on. The masters have generally done 10,000 hours or more. 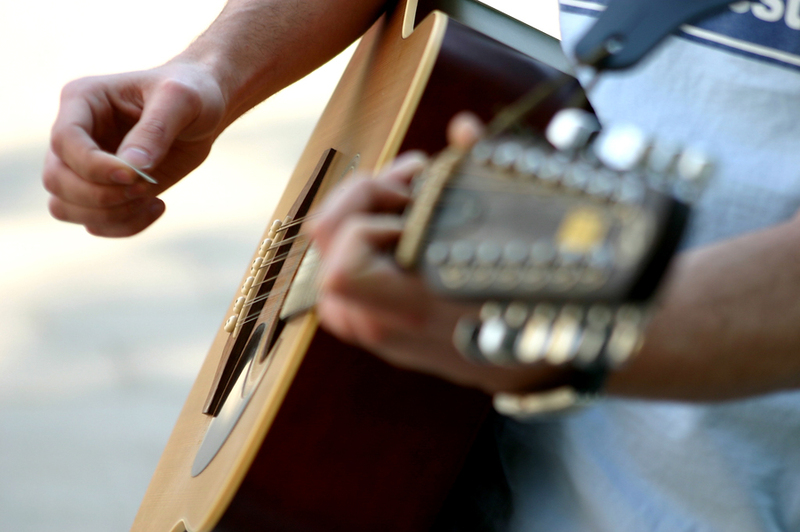 Many beginners are eager to play songs but don't actually realise playing a song requires a combination of often complex skills. Teachers also know that if their student is not able to play a few easy songs within the first few weeks and months the student will likely lose interest. What students want and what is best are unfortunately rarely the same thing. 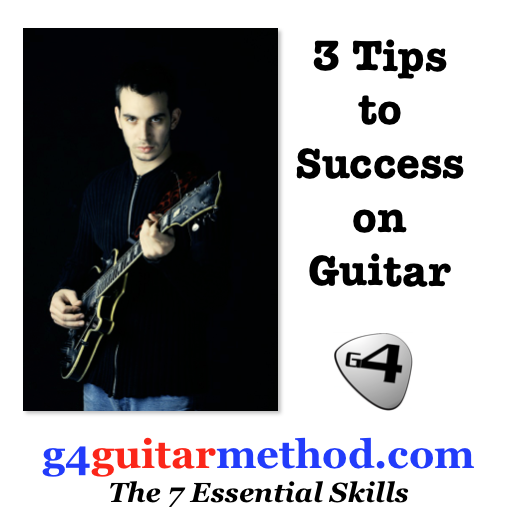 When you learn guitar in an ideal sense your best option is to focus on skills. If you ever saw the movie Karate Kid you may remember that the master began by asking the student to only do chores. The student was frustrated and wanted to get straight to the good stuff. The master was actually teaching the student skills first before introducing actual karate moves. he was also teaching the student to focus on one task at a time. 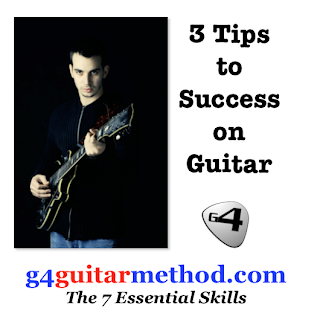 With guitar the skills should precede the songs but for most students its the other way around. ConclusionFocusing on skills means spending 10 mins on one skill. Start slowly and build up. Example if you are learning a scale just practice a few notes at first adding one new note when you feel ready. Avoid trying to learn all the notes of the scale at one time. Focusing on just a few will help your brain to absorb and ingrain the information. Too many notes and the brain will not remember. Imagine if I give you a 20 number sequence to remember and recite a week later. If I give it to you in one go you most likely won't remember even 5 mins later but if I break down in to 5 numbers at a time giving you one sequence each day and time to memorise each 5 note sequence you will likely be able to recite all 20 numbers a week later. Yes it takes a little longer but the result is a week later you will remember. Make the time to practice without distraction, develop patience (it will serve you well in all areas of life) and focus on one thing for 10 minutes at a time followed by a short break and then focus on something else. You can't lose.